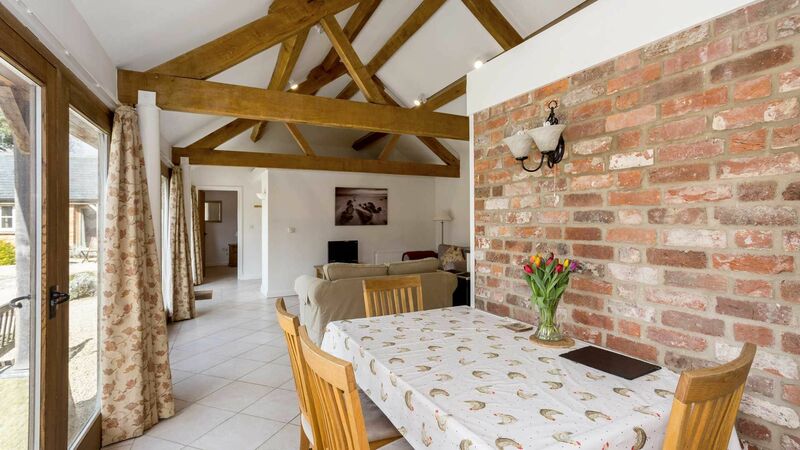 Blossom Barn is a light and welcoming self catering cottage which has been lovingly converted to a high standard whilst maintaining much of the character and charm of the original barn. 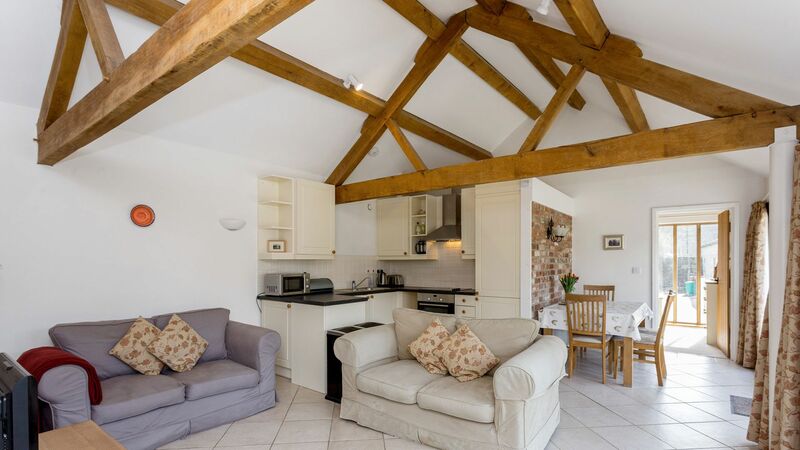 The open-plan kitchen & living area features original beams and there are 2 lovely bedrooms. 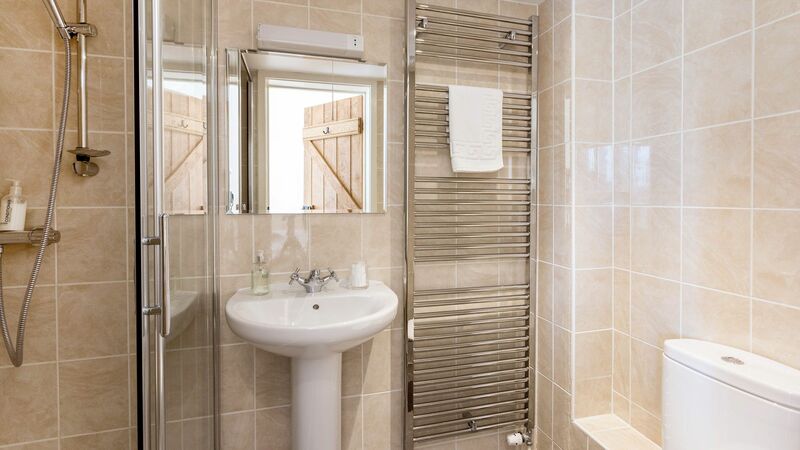 It is all on one level and has an accessible shower room, so is ideal for the less mobile. 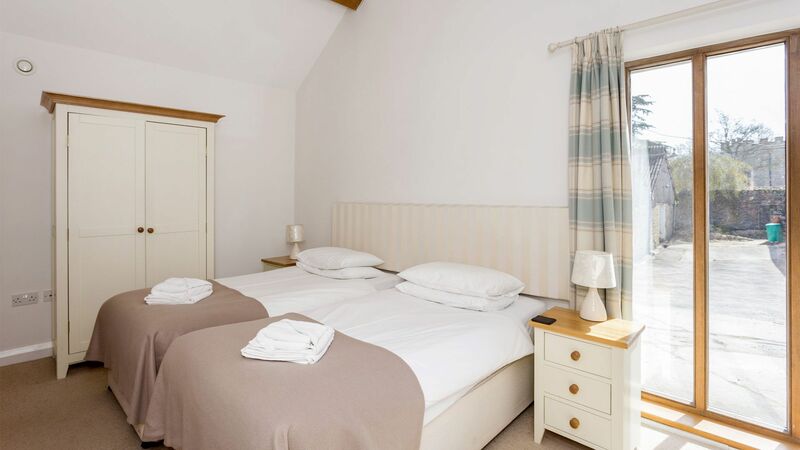 Part of the Goodlake Barns complex, Blossom Barn can be booked with other barns to cater for up to 28 guests. 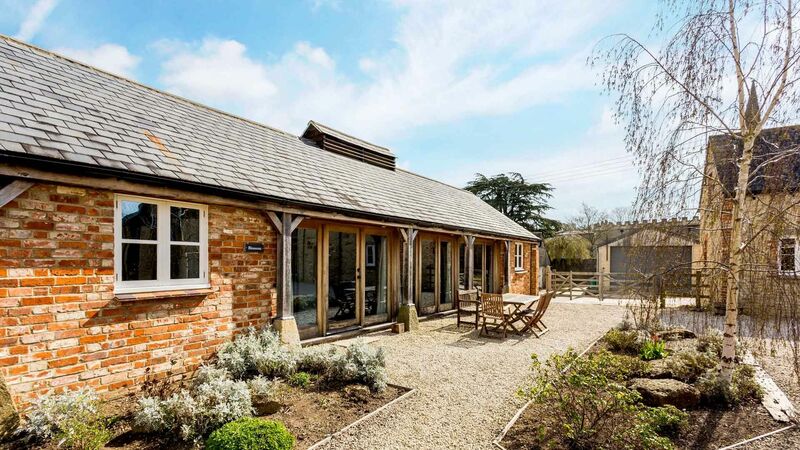 The barn it is situated in the small village of Shellingford, only 3 miles from Faringdon. 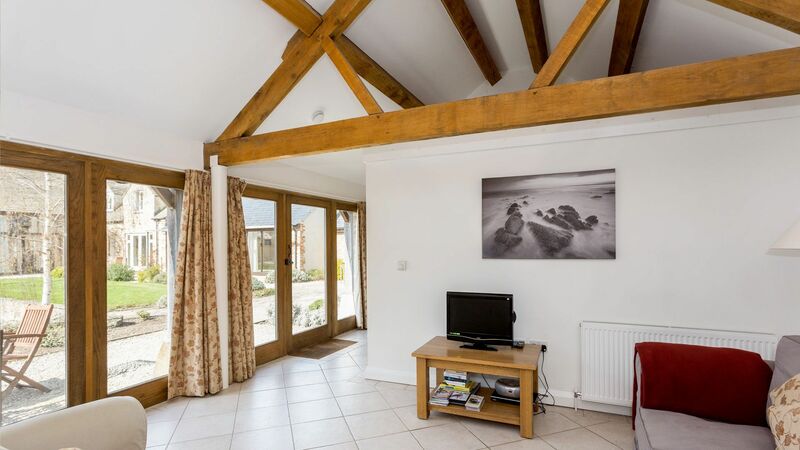 Open-plan kitchen/living area with original beams and underfloor heating. The Kitchen/diner equipped with gas hob and oven, fridge freezer, dishwasher, washing machine, microwave and all the utensils you need to make a fabulous meal for friends and family. 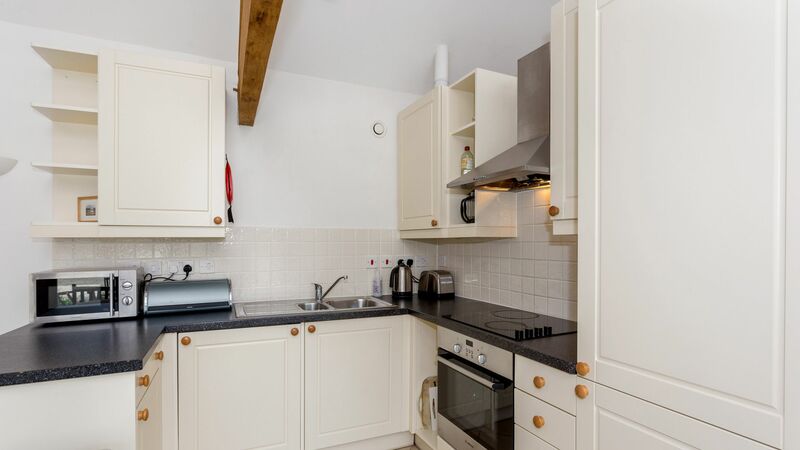 At one end of the open plan kitchen/living area you will find the kitchen and a wooden table which can seat 4. To the other end there is the living areas with two comfortable sofas, TV with DVD player. Beautiful glass panels stretch the whole length of the kitchen/living area which allows light to pour in, and provides access through large french doors in to the courtyard. Bedroom 1: Double bed with wardrobe, chest of drawers and bedside tables. 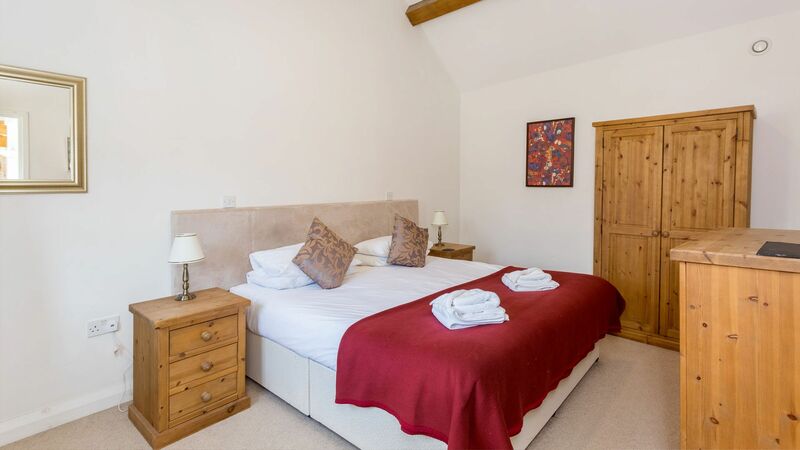 Bedroom 2: Twin with chest of drawers, bedside drawers and en-suite shower room with enclosed shower, loo, sink, mirror and heated towel rail. 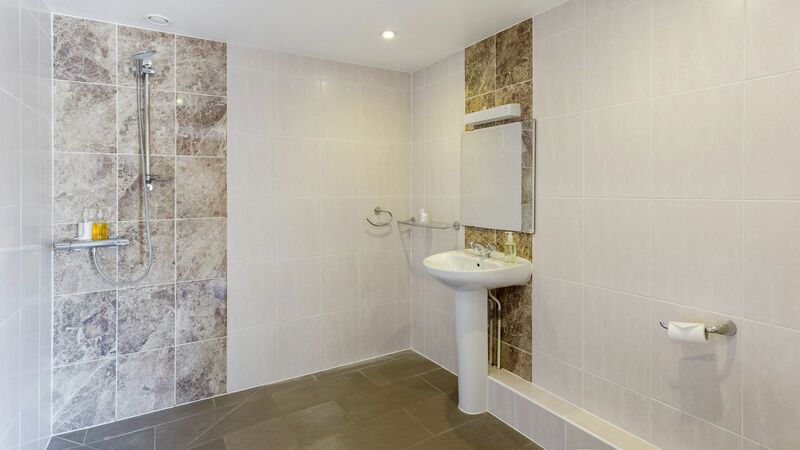 Separate accessible wet room with loo, sink, mirror, shower and towel hanger. Enclosed communal courtyard with outdoor seating in front of the property. Plenty of private parking, please do car share where possible. 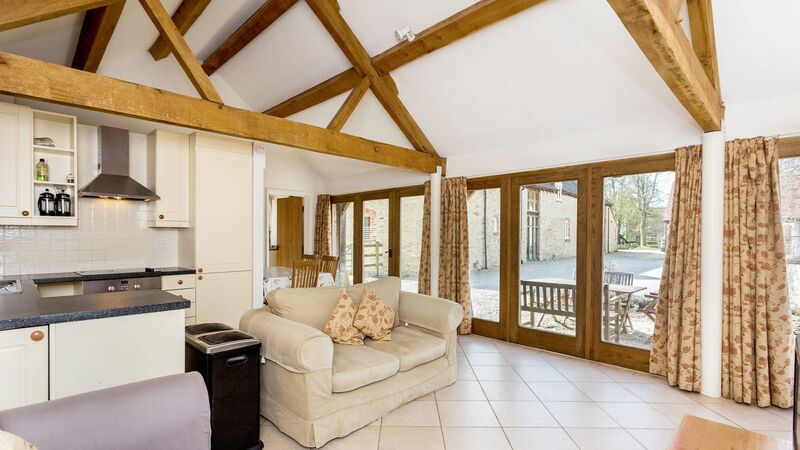 Stay Cotswold were very helpful in taking the booking, very quick to respond and very friendly making the whole process very easy and painless. We stayed at the main Barn and one of the adjoining cottages at GOODLAKE BARN, just outside Faringdon (Oxfordshire), it was one of the best weekends ever. The property and grounds are stunning and peaceful. Everything was clean and tidy, very comfortable and warm. Plenty of utensils, homeware and cooking equipment to cater for the large group. Thank you for a great stay! WOW! These barns are simply amazing. We booked 2 of the barns for a family get together, there were 12 of us, 4 in the Blossom Barn and 8 staying in ‘The Barn’. We used The Barn kitchen for all of us to eat together and there was plenty of space for all. We were lucky to have fab weather whilst there so spent most of the time outside on the patio area, this was a little squashed as the patio area is not massive but was ok. The bedrooms are spacious and well equipped with ensuites in the double rooms and a family bathroom to share by the twin rooms. The village it is set in is gorgeous and very quiet lovely to have a short stroll around in a morning. The local pub came and picked us up in a courtesy mini bus for a meal on the Saturday night which was a brilliant touch, this is the Woodman pub in the next village, we’ll worth booking and food is excellent. The disabled facilities in the Blossom Barn were good and the owner actually purchased a shower seat for the wet room in preparation for our stay, just goes to show how accommodating they are to any special needs or requirements you have. I have booked the barns again for next year as everyone in the party was impressed, hopefully we get the same sunny weather again. Please note that all bookings are subject to a £60 booking fee. Prices stated are based on an occupancy of up to 4 guests. A damages deposit of £250 is required to cover any breakages or extraordinary cleaning. In most cases, this will be taken as an authorisation on a credit card. We reserve the right to change prices without notice. 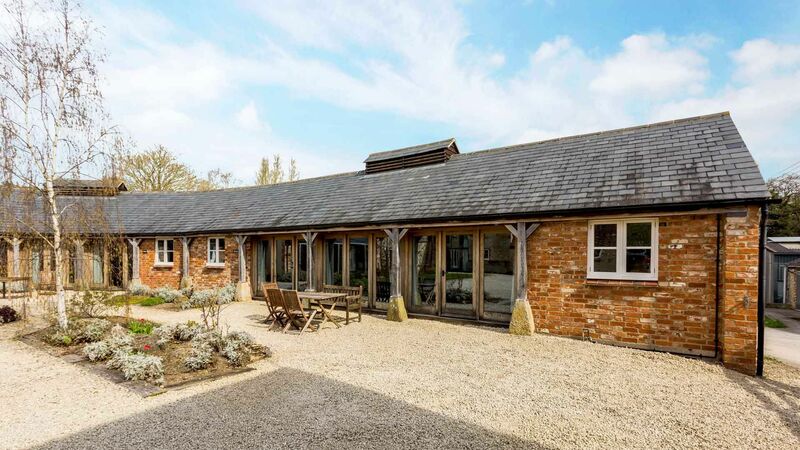 Goodlake Barns is situated in the picturesque Oxfordshire village, located in the Vale of the White House with magnificent views across the Vale to the Uffington White Horse and the Berkshire Downs. You can find a range of amenities including supermarkets, coffee shops, pubs and restaurants and a select few shops, just 3 miles away in Faringdon. The Barns are just a 30 minute drive from Oxford and is excellently located to explore everything which the Cotswolds have to offer. While you are here don't forget to visit; The Cotswold Wildlife Park, Blenheim Palace, the historic town of Burford, Broadway Tower, Folly Tower and the Cotswold Water Park to name a few!